When you think, can you notice how you think? Do you hear yourself talking in your head or maybe it's more like a reading? Maybe you mainly see pictures and movies in your head, or... maybe you just have the feeling of associating stuff. 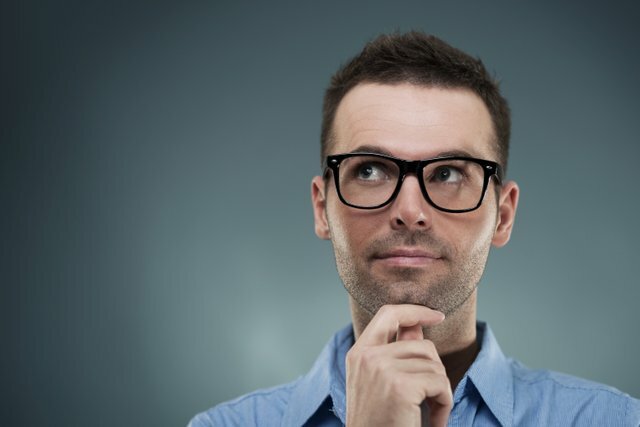 This question can be translated to: "Are you Visual, Auditory or Kinesthetic thinker?" Most people do a little bit of all three but there is usually a dominant one. We all prosses information differently, some use pictures in their mind, some will hear themselves talk or some talk, some will just have associative thinking and will have a "feeling" for things. Until now you may have thought that the way you think is the way everyone thinks, well... you are wrong. These types are excelling in painting, sculpturing, digital design, photography, industrial design and basically anything involved visuality and visual creativity. Other types of thinkers (like myself), may have a little difficulty visualizing things in their mind and really hard time trying putting it to paper (painting for example). This type really focuses on his feeling and have an associative kind of thinking. The kinesthetic is an emotional person who has to feel things before he can learn them. They won't rush into a decision and they will want to feel it's right before doing it. The pattern thinkers are really good ant distinct patterns as the name suggest and they can see logic and connection between two things much easier. They use words such as "I feel" or "i don't feel" a lot. They really excel at cooking, software engineering, math, programming and stuff involved pattern seeking. The way they think is by associating stuff and most of the stuff usually also associated with feelings. You verbalize things, talk to yourself ? The verbal thinkers tend to speak to themselves in their mind a lot, they can listen to full songs in their head and they are good speakers. They can memorize things by hearing them, I spent most of my school-days without writing anything in my notebook and just listening. They are also people with very expressive personalities and that have a lot of communication abilities. They know how to express themselves very well and they like to listen to others. Those people excel in writing, socializing, journalism, acting, and of cause music! (although other types can show musical talents as well). Basically, anything that can be put into words. They usually use predicates like: "that sounds good" "I can tell its right" "listen" and so on. I think this can really be used in education. If the parents and the education system can find how the kids think they can also move them into the direction that they will excel in and also enjoy more. Many people go and learn stuff that not really interest them and they wind up not being that good at them. While people who focus on their strengths usually get into high places, invent more stuff and live more happily doing the stuff they like. And few NLP book which brought me into this subject. Excellent post @paps . I belong to the first category. 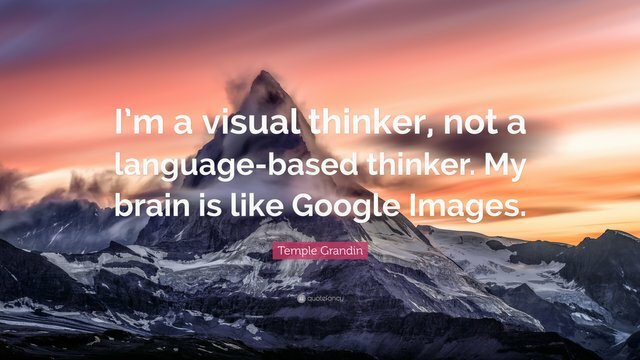 I am a Visual Thinker . I appreciate your suggestion that even the parents and education system should study kid's thinking and then try to make them learn accordingly so that they grab it soon. After writing this post I got to know that few education systems around the world are already using this! Thanks for the great content @paps! I think this can really be used in education. If the parents and the education system can find how the kids think they can also move them into the direction that they will excel in and also enjoy more. Let's see how the direction in the future will be then!!! 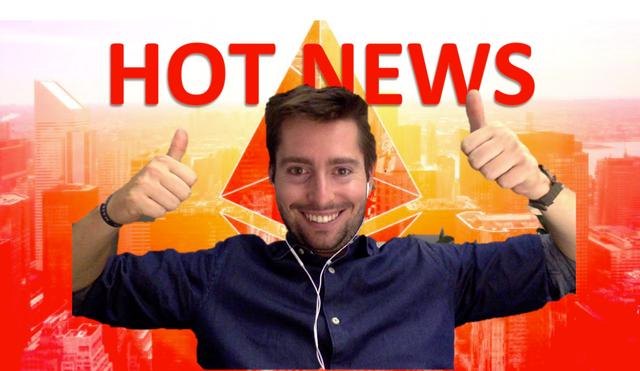 Keep the great content and looking forward to next! Great post. You made a good point about applying this in education. Schools systems usually treat every student the same which is why many never flourish. I am a language teacher, and I always take these three different styles into consideration when teaching in order to accommodate all types of learners. Personally, I am a visual thinker which explains why I was a designer before I became a teacher! These are the three primary learning modalities. They only have a peripheral role in the thinking processes. 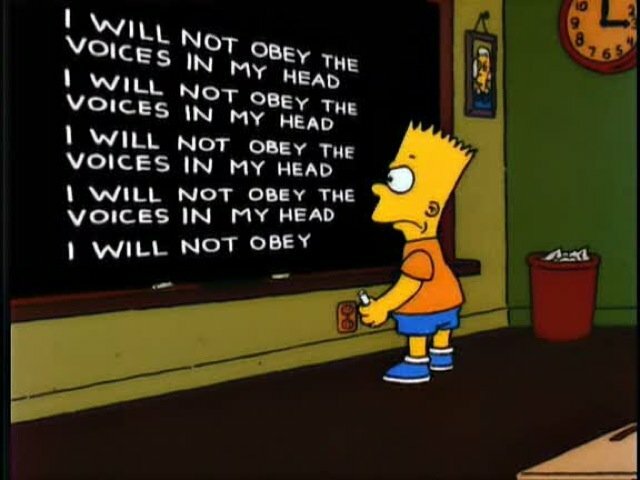 The voices inside the head are brought on from subvocalizations via the pathetic reading lessons in the warehousing indoctrination centers. Kinesthetic children are the largest group and the most maligned and misunderstood. They learn better being in a group with other kinesthetic children. They enjoy being physically close to each other and can they ever sing. They are also and unfortunately the early age candidates for Methylphenidate. They learn best when having something physical to facilitate their mental clarity and focus. I almost always recommend therapeutic handballs. Thinking skills come through facilitating communications. Hovercraft parents need not apply. Infants are the original multi-taskers. They lack a refined system of logic to connect the dots. When they become toddlers, bad parenting sets in and chaos enters the child's life, and their original thought processes are shattered, and groupthink is introduced. Children who receive unconditional love into toddler time become automatically more cogent than their peers. One of the most vital steps of teaching children, apart from motor skills and eye-hand-mind coordination, is that of various drawing activities. Finger painting is exciting, regardless of the primary learning modality. The first episode should utilize teaching how to make secondary colors. By quizzing the child after the artistry, the expression of ideas is fostered. Remember that drawing preceded alphabets and written language. A fabulous reference source is the pioneer, Elizabeth Hurlock. I am a hard-core visual, and my two passions are sustainable living and anthropology and how culture affects peoples' lives. My primary focus is working with children "diagnosed" as having ADD/ADHD and getting them off of the Methylphenidate. Most of my knowledge on the subject comes from NLP and not education, you really shed some light here. Upvoted in order for other people to see it in the top of the comment section. Anyone reading this comment should upvote it in order for the comment to climb! Thanks; I do advocate the old-school NLP. You might want to expand by checking out Paul Mckenna and Michael Breen. I already know and learn from Paul but I will certainly check Michael Breen! Thanks. I find I start with that 'associative feeling', as if you know the solution or answer but need to put it into words - kinda like the feeling you get when you know something but have temporally forgot it. I lock in on that feeling, then comes a flood of visual images with what sounds like 'mental mumbling'. I like your 'search engine' analogy - I'm conscious of the process, but i don't "steer" it so-to-speak. It's very possible, like I said its not black and white! Hey, nice post! For me, it is a mix of all three but most of the time the 2nd case is prevalent: I like to find connections between things, and how they relate to emotions. I think it is useful and beautiful to find hidden qualities in something and connect it to something else. They really excel at cooking, software engineering, math, programming and stuff involved pattern seeking. Anyway, the education reference in the end is very interesting and I will keep that in mind for my kids. Thanks! Thank you for reading and leaving such an awesome comment! Upvoted the long post by @aedroberts. It was as interesting a read as your post, and your comment wanted his to climb up the post ladder. "I think" that people put to many restrictions on thoughts and processes of all types and kinds. 3 thinking methods, 4 dimensions, 5 senses, 6 sides of a cube. I think all restrictions that popular science/society places are wrong. And I do mean all. Just my opinion, and I am sure the scientist, doctors, lawyers, politicians, and good hearted peoples of society know more than I do, after all I only think lucidly, and dream lucidly, and read lucidly. So I don't fit very well in any of Polite Societies Boxes. Still it was a very good read. and so I upvoted your post also. Interesting post, thank you for sharing it. I am a qualified primary school teacher in the UK. I can assure you that, in education, we do already pay very close attention to ways of thinking , as well as learning styles. This is essential for inclusion of all students. I think you will find this is the case in most countries. Sorry I cannot upvote as my vote is worthless until it regenerates. Thank you for resteeming and commenting again! Thank you ^^ Will try to keep this style. I am more a pattern thinker. Very informative article. kept scrolling to reveal the next of the screen, and there was "pattern thinking" right there. Sure! Thanks for providing interesting content! Haha I'm auditory, maybe that's why I listen to podcasts all the time! :) I am honored if you do!! Found you on Facebook steemit group. Upvoted you. Happy to shed some light!